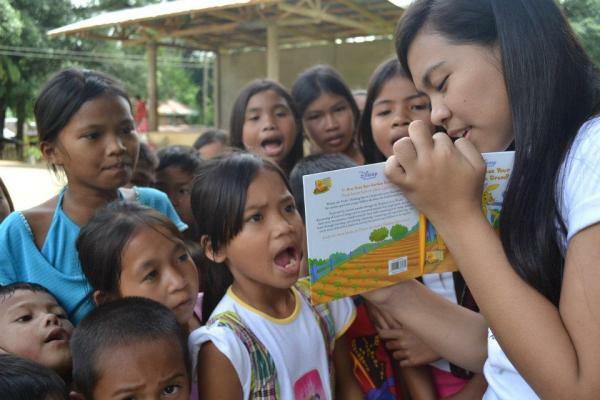 World Read Aloud Day in the Philippines! Project Soles in the Philippines celebrating WRAD early! This year, we will have the Philippines with us on World Read Aloud Day, with several organizations joining together to celebrate the power of literacy. Our LitCorps Ambassador in the Philippines, Ruby, has also partnered with local publishers VIBAL publishing and the National Book Development Board in creating a special event at the National Library in Manila tomorrow! We can't wait to see the pictures from the celebrations! Check out the other Filipino organizations who have joined together to celebrate World Read Aloud Day!